Today I thought I would share with you a Christmas recipe that my boyfriend Jamie and I have been loving. Today I've put the Christmas decorations up at home with my Mam and watched two Christmas movies so what better thing to put on my blog than a Christmas recipe. 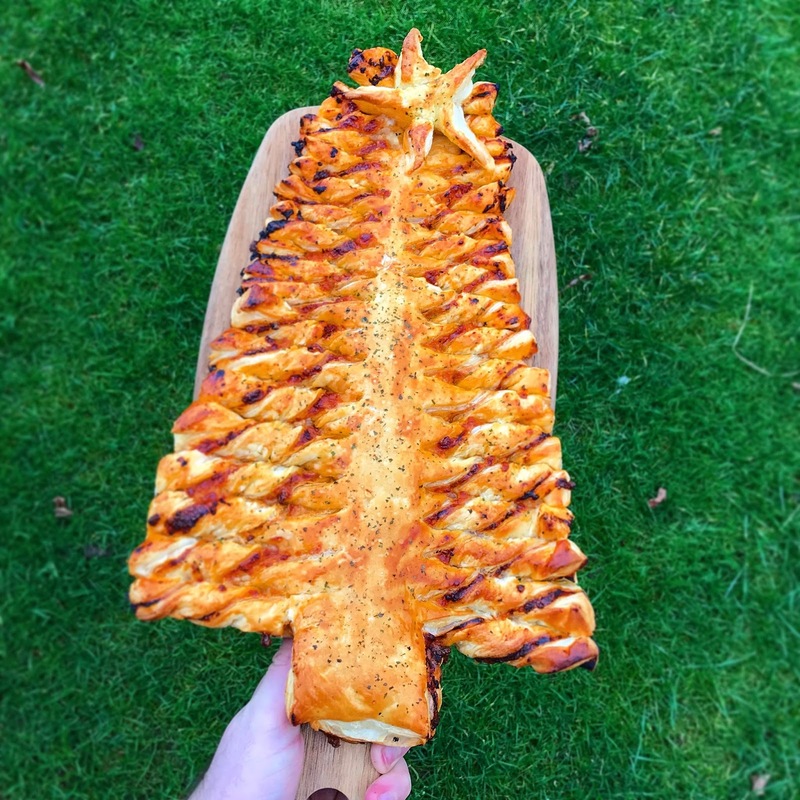 Let me know of any Christmas recipes you and your family love. Hope you enjoyed this recipe. 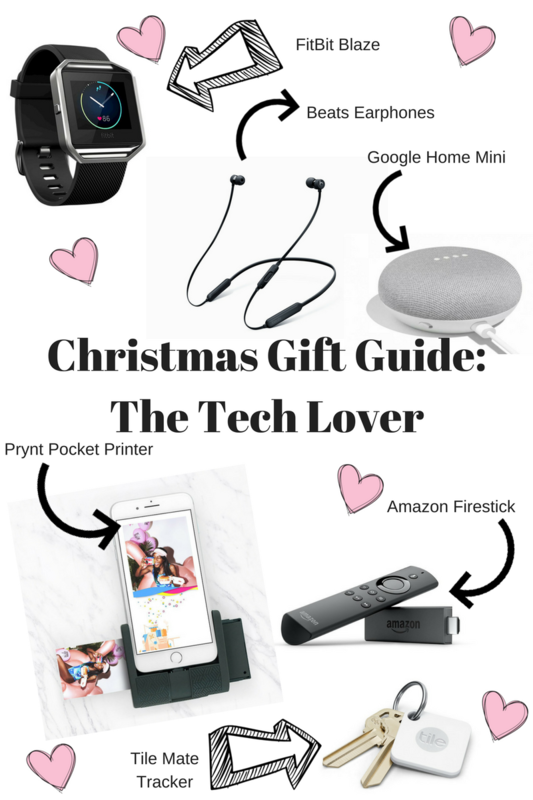 So here are some gifts I thought would be great for any 'techy' out there that just loves gadgets! FitBit Blaze - I added the FitBit Blaze on my list because I actually have one of these bad boys myself and I absolutely love it. I don't do tonnes of exercise just a few classes a week so its nice to keep track of how many calories I'm burning, how many steps I've done per day and keep an eye on my sleep pattern each night. Beats Earphones - Next on the list is the beats earphones which are a great gift for anyone that loves exercise, travels a lot or even just loves listening to music! I definitely think the best earphones out there are the beats and the apple headphones so either of those are a great gift I just think the beats earphones are just a lot more comfortable to wear. Google Home Mini - So I have seen this little baby advertised all over at the moment as they do seem to be the new gadget out. I know the Amazon Echo's where super popular and I just think this guy is just a little bit nicer to look at and not so huge. Definitely a nice little addition to anyone's home. Amazon FireStick - This is by far one of the best things I have ever owned so I just think it would make a great gift for any TV lover. Since having our FireStick I only ever use that to watch anything, it's very uncommon if I find something to actually watch on digital TV - and they are a great price too! Prynt Pocket - I found this little guy on Firebox and just couldn't help but add it to this list. Polaroid camera's are so popular right now and I think they are just a great way to print off any photo from your smartphone and gift it to a friend or just keep it for memories! Tile Mate Tracker - This one is just so funny to me. Does anyone have that one particular friend/family member that just loses everything? I know I do. This bluetooth tracker connects to your smartphone and you can pop it on your keys or in your wallet to make sure you don't lose those specific items that you always seem to be misplacing! Great idea right!? 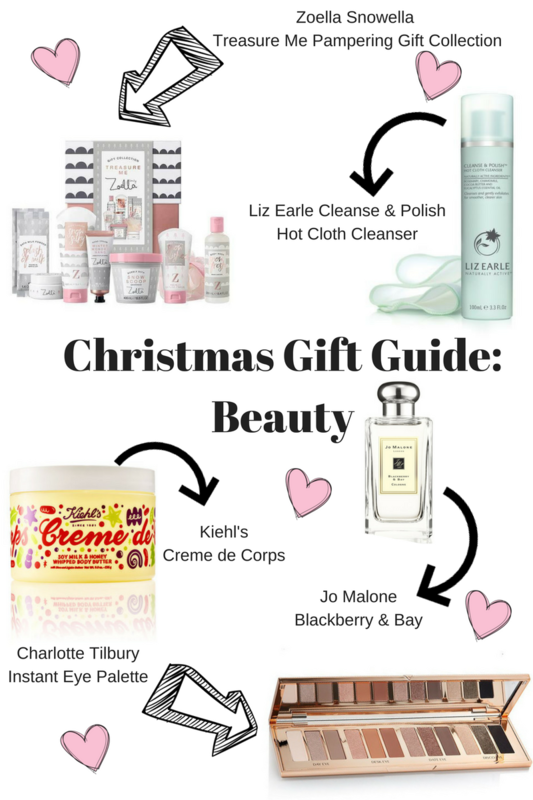 I've linked below almost everything in this gift guide incase you have anyone you think these gifts would suit, I hope it helps you with your shopping this Christmas. Let me know what gift guide category you want me to do next? Hey guys! So today you have the lovely treat of having some product reviews that I've been using lately while I sit and sip on my warm winter spice Ribena. So since the beginning of October I have been using Anatomicals - Phwoar! Not Straw restorative avocado and wheat germ hair mask & No More White Bits instant tan and I'm going to tell you a bit more about them today. So I am gonna start it off with the hair mask, I used this mask pretty much until there was nothing left of it as I loved it that much. The way I applied this mask was to shampoo my hair twice like I usually do (as I have a lot of hair) then run the mask through the ends of my hair and left it on for around 5-10minutes however, I'm sure you can leave it longer if you wish to. After this I will rinse off the mask and apply my own conditioner as usual. I really loved using this product as I am a sucker for any hair product that is going to make my hair soft and silky and this definitely did that! It has an amazing smell and it just helps to restore all of the shine back into your hair. I think hair masks are definitely a great product to throw into your hair care routine. This mask retails for £6 and you only use a small amount so it definitely lasts a while. Next up is the No More White Bits instant tan, now I am going to be completely honest here in saying when I first started using this product I really struggled to get a nice application BUT I think that is to do with the fact that I normally use a tanning mousse rather than a lotion. After persevering with the tan I managed to get a good application with it and thought I would share my tips on how to use it. 1. Exfoliate! - So I think it is very important to exfoliate your whole body before putting on tan as it just removes any dead skin and helps to get a perfect application. 2. Moisturise the night before - I always think the next step after exfoliation is put on some moisturiser the night before you want to apply your tan just so that it adds more moisture into the skin and you've gave it chance to sink in. 3. Use a tanning mit! - This is such a vital part of info and obviously I'm sure a lot of people know already but I thought I would add this in. I was actually using an old tanning mit at first and then decided to buy a new mit and I found I had a much better application with that. 4. Less is more - I definitely found with this tan to just use a small amount at a time as you can always add more on top if you want to be darker in colour. I was really happy with this tan when I managed to get used to using a tanning lotion rather than a mousse and as you can see from my picture above it gave me a lovely non-streaky colour that wasn't too dark but I definitely achieved a really good colour for me. An added bonus is that it doesn't have that usual biscuity smell that other tans do, so that's another thing that I did love about it - because who wants to smell like a McVities digestive biscuit anyway? Thanks for reading my Anatomicals product review and if you want to try any of these products or anything else from Anatomicals you can get them at ASOS, Superdrug & Harvey Nichols. Numero dos of my Christmas Gift Guide series, YAY! 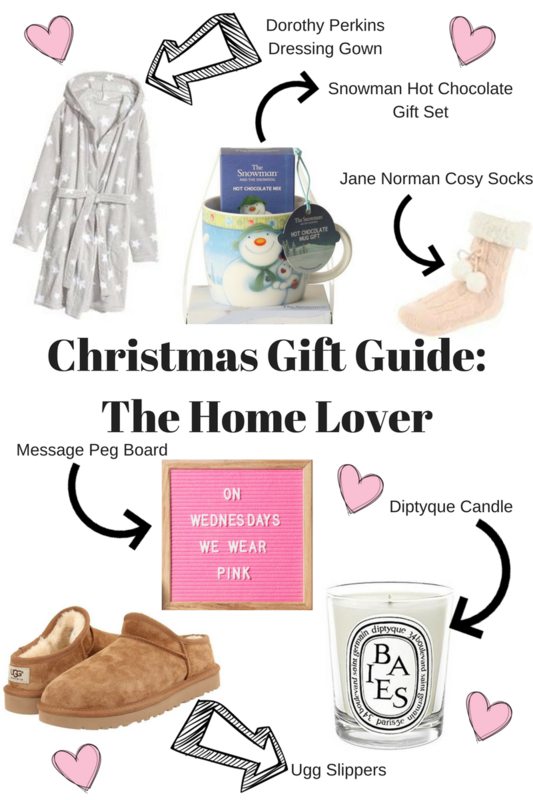 This one being gift ideas for the home lover, I am definitely within this category as I am obsessed with all the cosy home vibes - PJ's, candles, hot chocolate's and movies. Ugg Slippers - Everybody needs some cosy slippers for around the house and I think these look amazing. I was bought a pair of beautiful Ugg boots a couple of years ago for Christmas and although I really love them they're quite hard to fit in with an outfit so I never really wear them so these cute little house booties would be perfect for me and anyone else that has constant cold feet! Diptyque Baies (Berries) Candle - I added this one in because these candles are just so popular now and smell beaut! Yes, they're a little bit more of a pricey candle but if your a candle lover I'm sure it would be great to treat a loved one with this. Message Peg Board - I have seen these boards floating around so much lately and think they are super cute. I quickly jumped on the light box trend so I will probs be jumping on this peg board trend very soon too. I especially love this pink, girly one from Firebox. Jane Norman's Cosy Socks - Because who doesn't love cosy socks especially in our winter time and like I say I always have ice cold feet so these are a must for me. I added these on because I always seem to get some cosy socks for Christmas so I think they're a great idea to throw in someones Christmas bag. The Snowman Hot Chocolate Gift Set - How cute is this gift set though?! I seen this from Argos and I just couldn't resist to add it into this gift guide it's such a great idea for any hot drinks lover. It is also the best time of year to be drinking hot chocolate so why not add it in! Dorothy Perkins Dressing Gown - How could this gift guide go without having the cosiest dressing gown in the world, I believe everyone should have new PJ's for Christmas so why not have a new dressing gown too! This looks like the perfect fluffy gown that everyone needs in their life. Let me know what gift guide you wanna see next week? This is a must for me and I do kinda wish I started it earlier but a lot of my family don't actually tell me what they want till around this time so there would be no point starting. My best friend and I have already set a date to go Christmas shopping so I'm hoping to get the bulk of it done then. Let me know but I'm just eager to get in the spirit. I only really buy 1 pair of Christmas jarmies every year because I have that many other ones I'd end up with too many! So I'm looking forward to some new Christmas jarmies, my last years ones where from M&S and I still love them to this day. SO FLUFFY! I was so happy when I saw that this year they where bringing my favourite drink back, so I will be consuming plenty of them to make up for lost time. 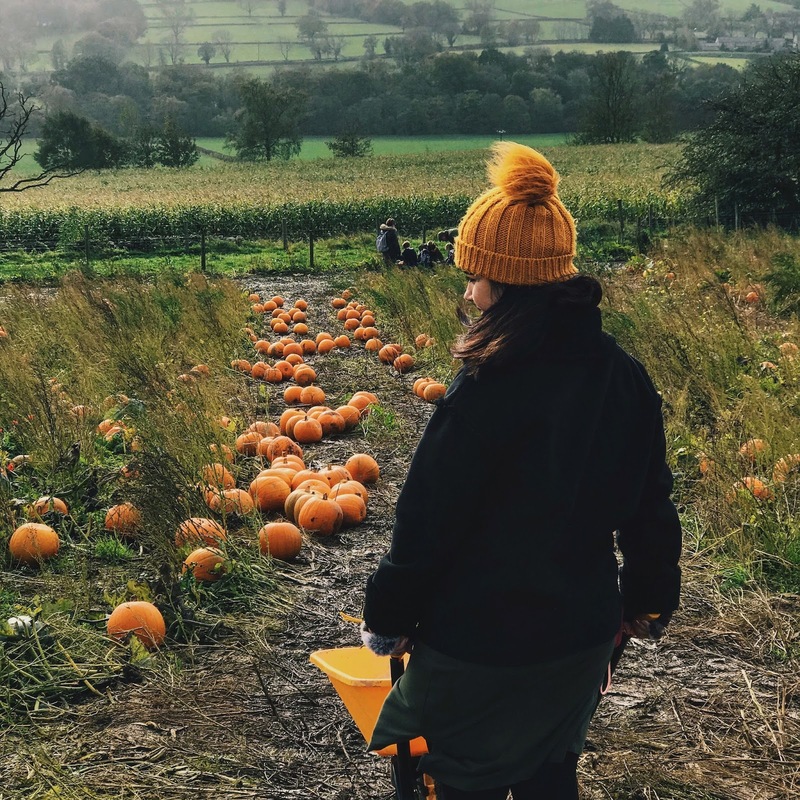 I will definitely be making the most of the rest of Autumn and having lots of days and walks out with family and friends in preparation for the Winter to come along when I will most likely be hibernating and having a lot of cosy days! 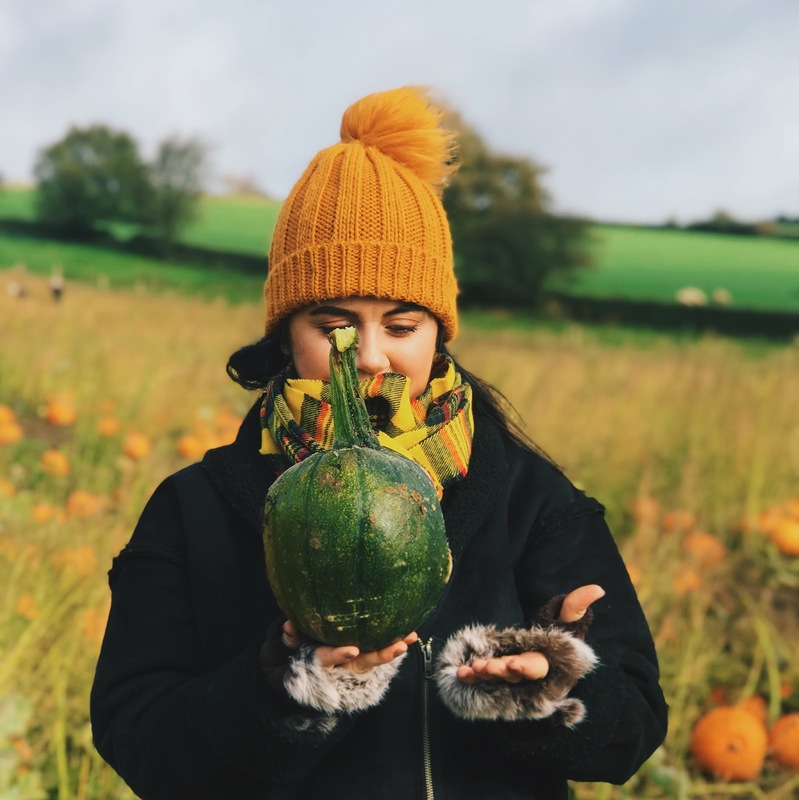 I hope you've loved reading this little blog post, let me know what you've got done in November! Usually I would never ever post on a Friday because I'm far too busy with work but this week I have actually managed to sit down and write something. YAY! 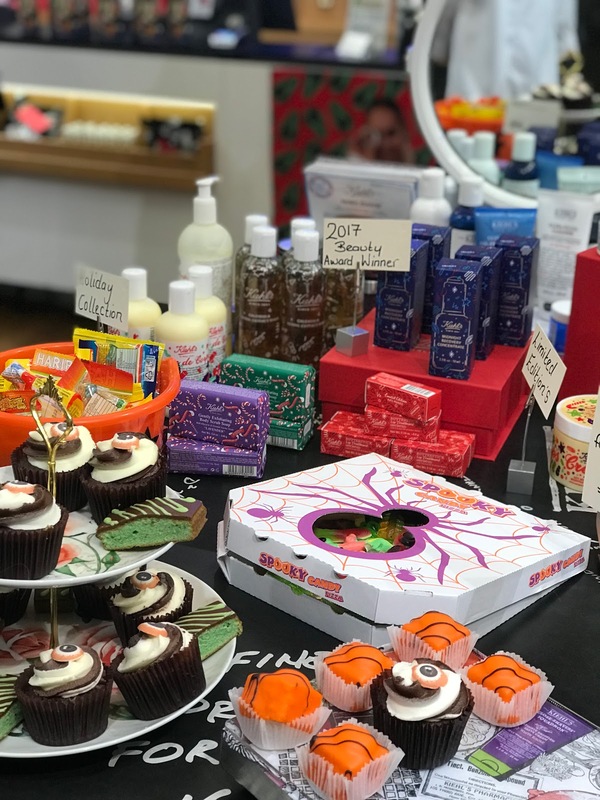 On Tuesday night I was lucky enough to be invited to the Kiehl's Halloween Holiday Preview Event, so my friend Lucy and I met up and had a little wander along to the Kiehl's Boutique in Newcastle. 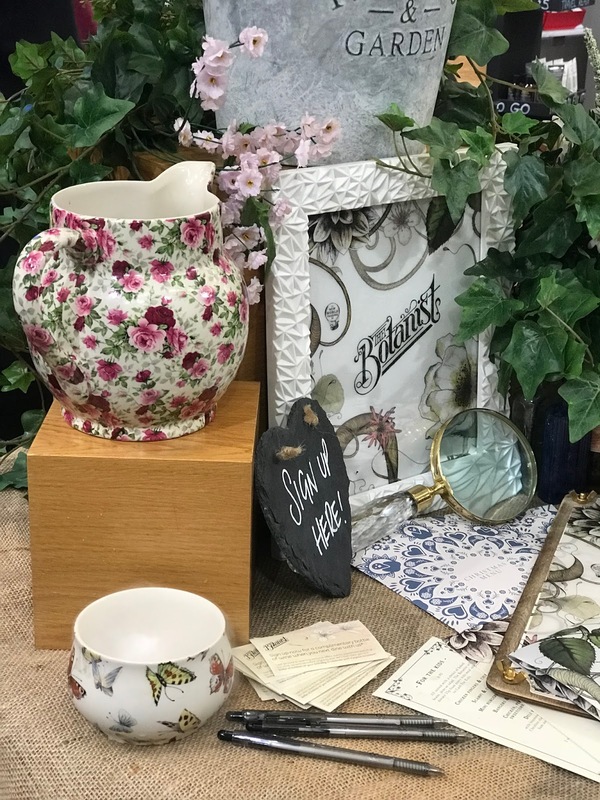 We arrived at the boutique around 5.15pm and were greeted by some of the lovely staff, we where told do grab a drink from The Botanist table which looked amazing. We grabbed a Mocktail each and began to browse through the amazing Christmas collection! There was a full table with all of the Christmas collection to look at and also lots of cute little Halloween decorations, obviously with it being an event on Halloween night. 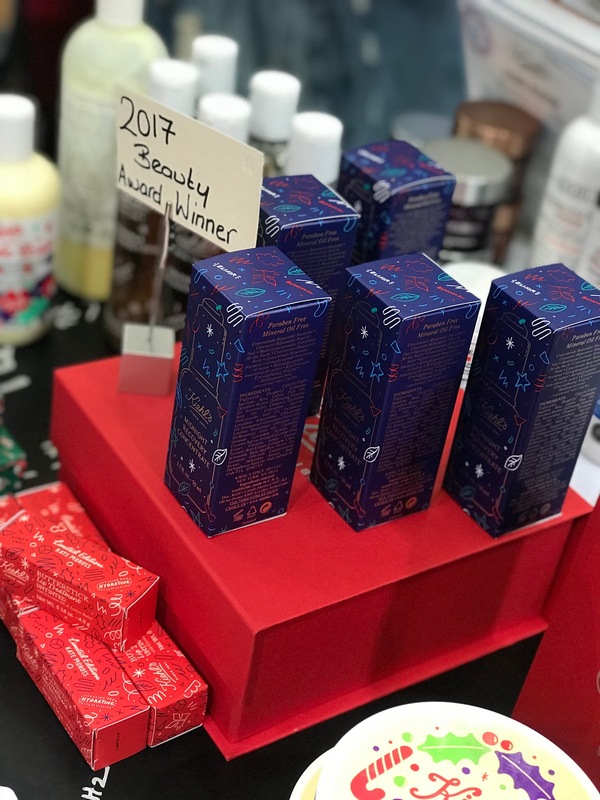 In the Christmas collection there was Exfoliating Body Scrub Soaps, Creme De Corps, the best selling Midnight Recovery Oil and some other favourites in beautiful Christmas packaging. 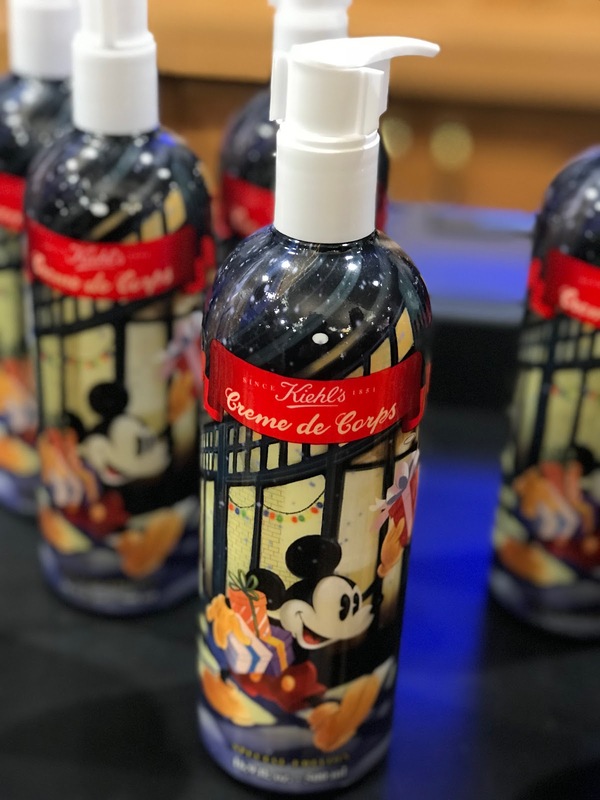 One of the main things I was VERY excited for was the Christmas Special Edition Creme De Corps in Mickey Mouse packaging - yes I said it... Mickey Mouse packaging!! 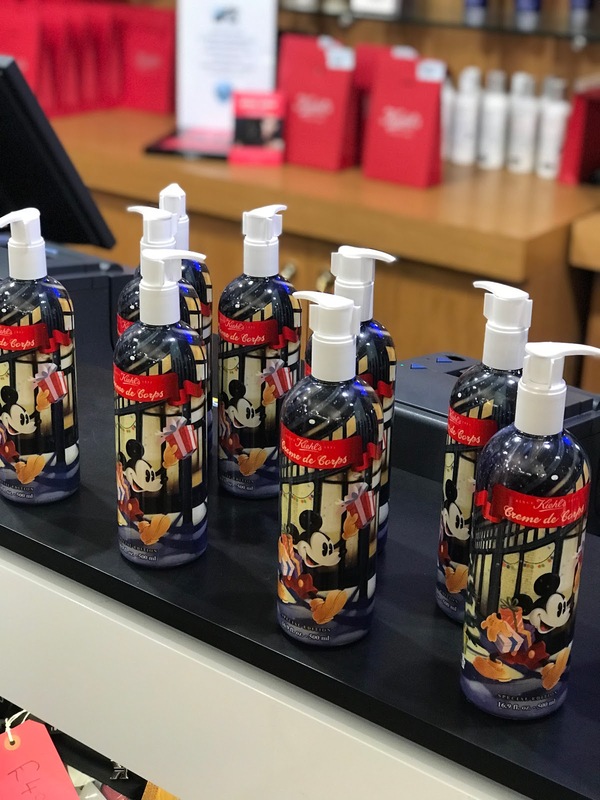 I am very excited for this to come out over Christmas as I think it would be a perfect gift for any skincare lover and Disney lover of course. They where a great size too! We where given an amazing goodie bag each filled with some mini products to try out and filled with samples to try. 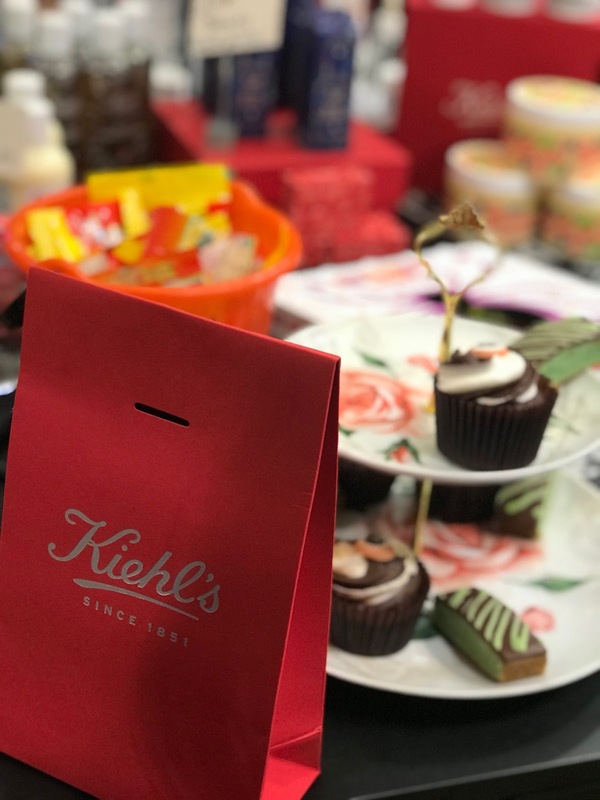 One thing I admire about Kiehl's is that they are never shy of handing out the samples if you are wanting to try anything. We ended up chatting away to the Manager of the Boutique who was lovely and she helped us both out with what skin type we where and advised us on some products we should try out and then handed us a handful each of those products to try on our skin! I was so impressed by this because they really want you to love the product and know that it works for you before you invest in their products. They also have a 28 day policy being that if you find the product is not good for your skin you can return it within this time which I think is great, there's been many times I've picked up skincare from recommendation and it's just not been good for my skin. Kiehl's also have a great recycling scheme, so you keep all your empty products and 1 empty bottle = 1 stamp. 10 stamps allow you to get 1 travel sized product which is fab as I think a brand that does recycling is always a bonus! All in all we had a great night chatting to the staff and browsing the beautiful new collection and their other products, it really was a lovely little event. 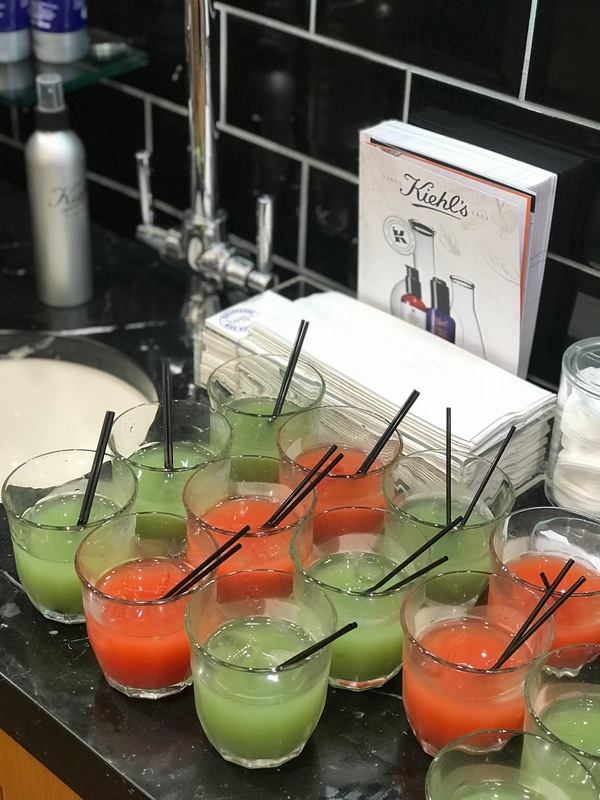 So, thank you to the guys at Kiehl's Newcastle Boutique for inviting us and for putting on a great Preview Event! I hope you enjoyed reading my blog post for this week! Let me know what you did for Halloween? 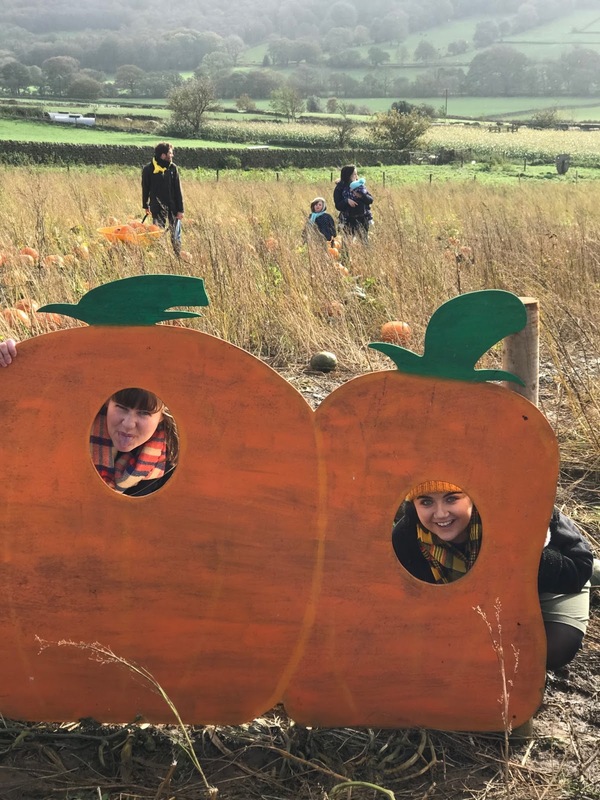 It is possible that you may of already seen this on my Instagram on Sunday but if you didn't I thought I would tell you all about my trip out with family to Birchfield Ice Cream farm where we got to pick our own Pumpkins. 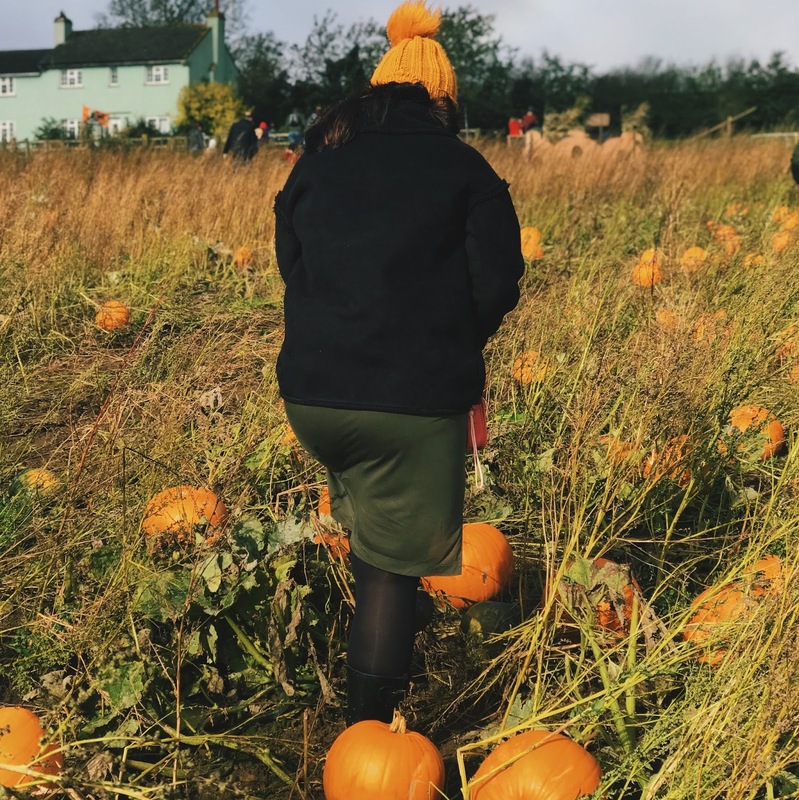 We managed to get to the farm around 11.30am and it was definitely a great idea that we all decided to take our wellies with us because our weekend had been a tad rainy, however Sunday was a fairly decent day for weather just slightly windy. 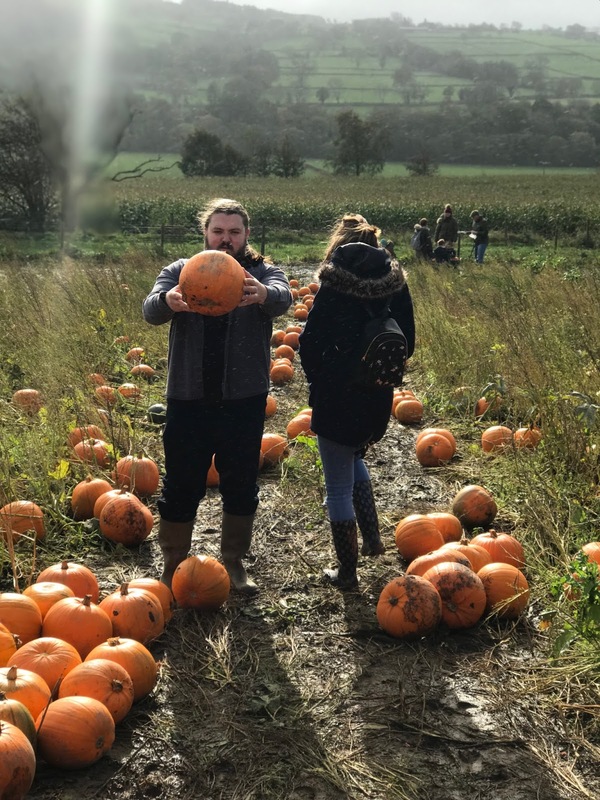 We started by going straight to the huge field where all the pumpkins where at, we grabbed a wheel barrow for us and started the hunt to find the perfect pumpkins. 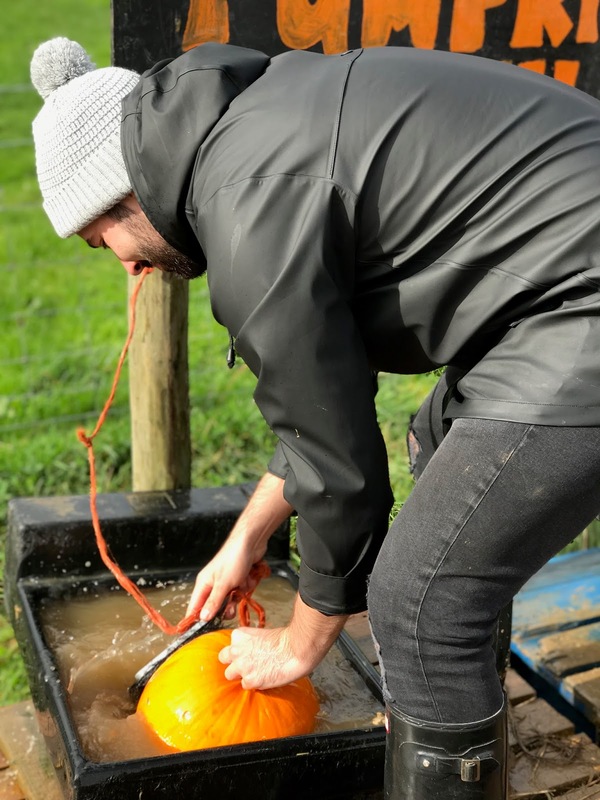 We had a good wander around and managed to find a pumpkin each, which we all took back to the pumpkin wash to clean off any mud. They got measured for price and I think they where all around £4.00 each to buy. 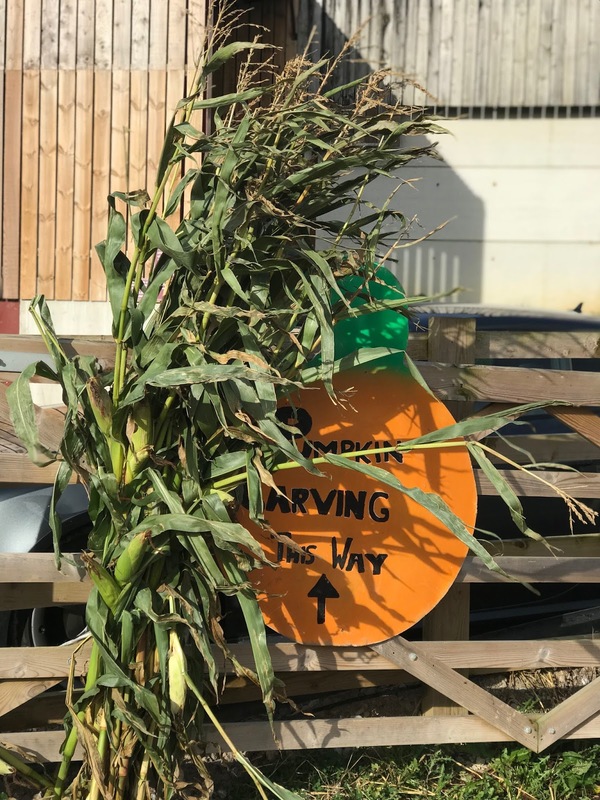 After, we walked back towards the car and headed straight to the barn where you could set up on a straw bail and carve your own pumpkins. 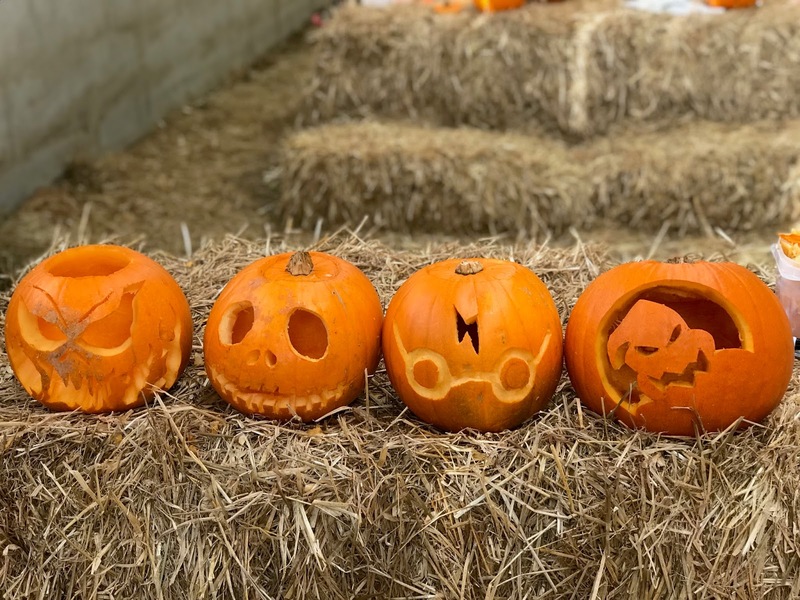 We had such a laugh doing this and the concentration steaming from us all was ridiculous😂 We all carved very different faces but all of them where amazing and we where well impressed with what we had produced. The next thing we managed to do was feeding the pigs, my boyfriend was over the moon when she told us we could do this because he absolutely loves pigs! We got to see the pigs, cows, sheep and even some goats too. I am a huge animal love so this for me was an added bonus. The only thing we didn't manage to do was use the 'Corn Cannon' which they'd put all over there Facebook page so we where all very excited and looking forward to trying it out, but with the wind being high that day we couldn't do it which was a shame. But we did still have an amazing day out! Hopefully if you live near by to the farm you will be able to go and experience this yourself it was a lovely day. 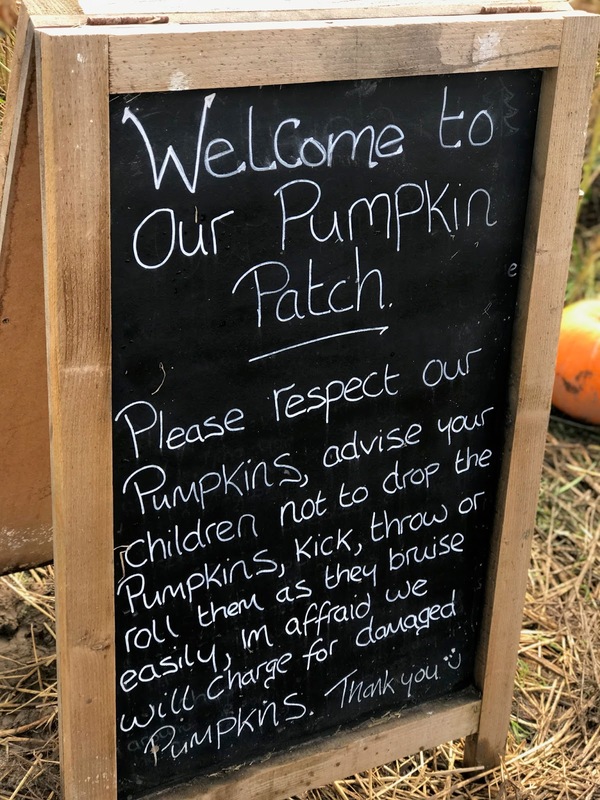 I think you have til the 31st October to get your pumpkins at the farm! Hope you've enjoyed reading this post and love the pictures that I took from our day out on Sunday! 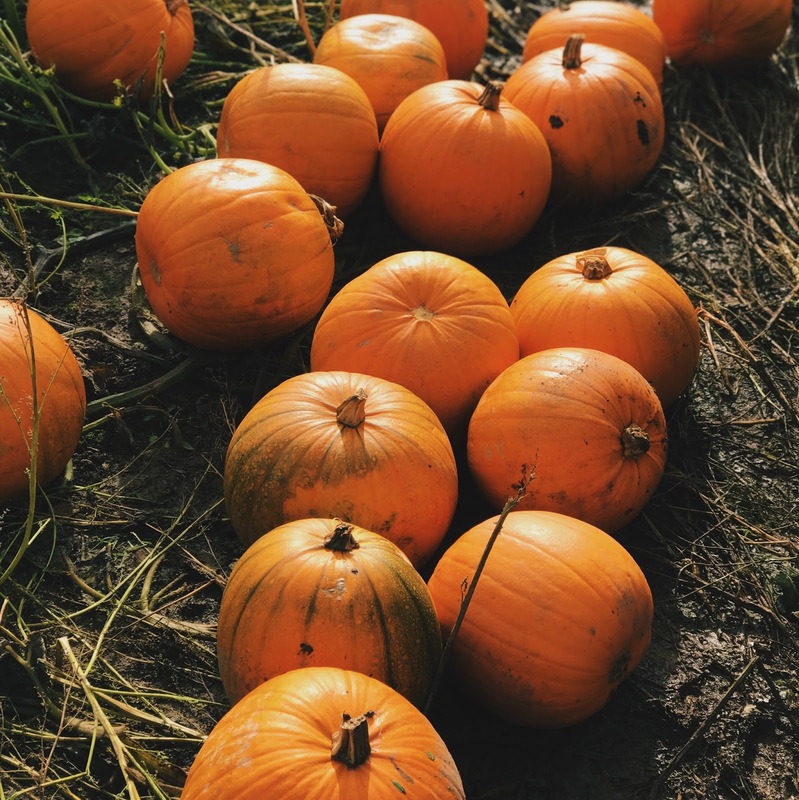 Let me know if you've managed to go pumpkin picking yet or if your planning on it? 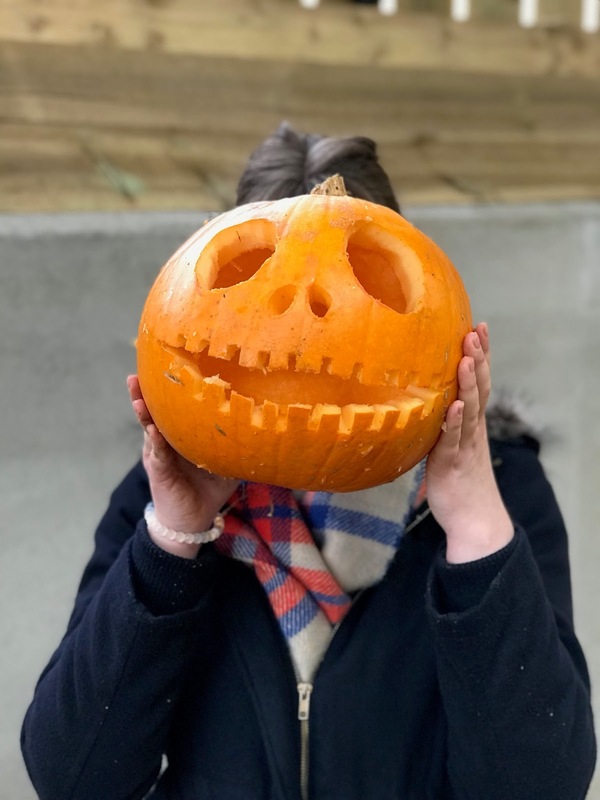 So today on my Instagram stories I ran a poll of what blog post you would like from me today and yes by a very close call the winner was a Halloween Home Haul YEY! I thought I would share with you what I've picked up for Halloween and where I've found them. 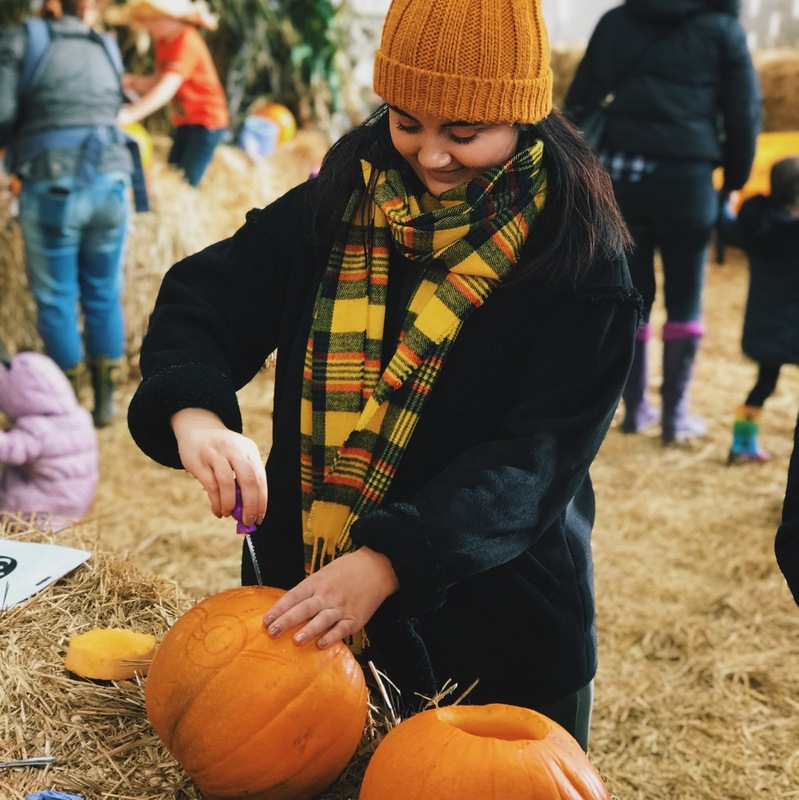 I'm not sure I need to keep telling you, because you will most likely already know that this is my favourite time of year and I like to make the most of it! So the first place I stopped by to grab some bits 'n' bobs is the famous Homesense, known for it's amazing and affordable Halloween decorations. I was a little disappointed with our store, it's the closest one to where I live and was still around 45/50 minutes away and everything was just kind of placed all over so my friend and I actually struggled to find Halloween items. After a while looking round we found a few things each and we where definitely very lucky to come across some Halloween stuff as there was only limited stock. The next thing I grabbed is my favourite thing that I got from Homesense and that is my Clear Pumpkin Decoration there was tonnes of these pumpkin decorations around the store but most of them where coloured and I spotted this clear one and it was the only one available so I just had to get it! I think it's a beautiful decoration and I absolutely love it. My last pick was my Trick or Treat Pumpkin Bowl I literally found this bowl right near the checkouts along with some other awesome stuff but I did just pick up this and I'm so glad I found it. I have filled it with sweets and it's good to go. 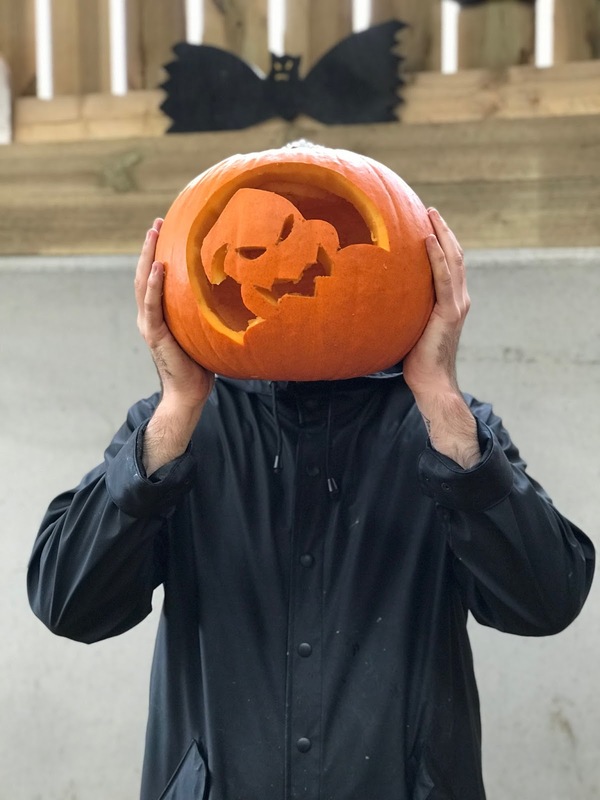 It has a cute little pumpkin face on one side and then 'Happy Halloween' on the other. Love it! Hobbycraft is one of my favourite stores, I love just browsing around and especially when they have they're seasonal aisles available. My friend and I went straight to Hobbycraft after Homesense as we where just dying to go check out their Halloween decs. I actually only picked up one thing which was two of these cute little Halloween Candle Holders I actually bought some battery operated tea-lights to pop inside. I bought two to pop them either side of the windowsill and they look so good when they're lit up! 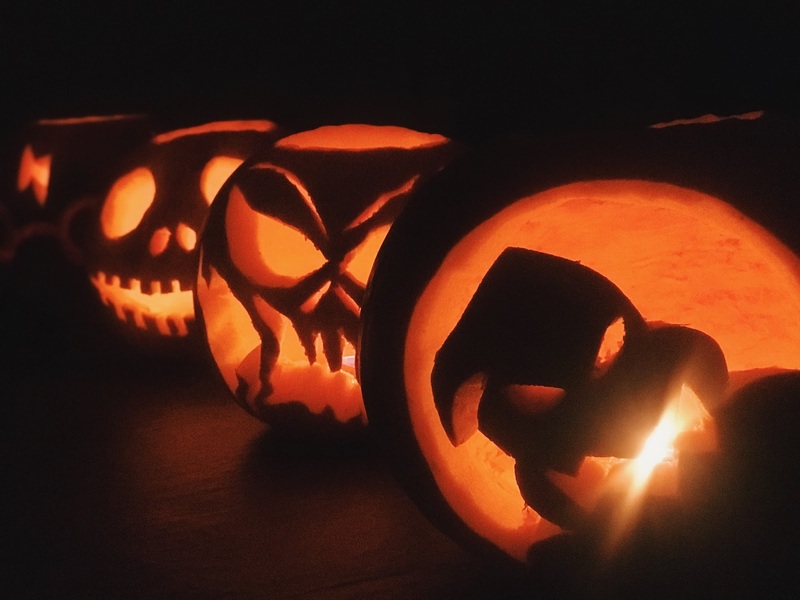 I am so glad I went into Home Bargains in hope they had some amazing Halloween items in and they did not fail me and I was so surprised as there was so much to choose from! First up I picked up two Pumpkin Candle Melts I absolutely love these so much and they're such great value for what I paid for them, they where around £2.99 each how awesome! They came with a melt in the top which actually smells amazing and you can just pop a little tealight underneath. I grabbed two because I just thought they where so great. Next I picked up some little Orange Glittery Spiders these where about 69p each I think you got 4 in a pack and I just thought they where so cute to put about, I actually managed to hook a couple onto the slots on my lightbox they look amazing! Next I picked up Wickford & Co - Halloween candle which I had spotted on someone's Instagram and I just had to find it. This candle smells so good and I was so surprised that it did considering it was pretty cheap. I will definitely be going back and grabbing some of their other candles that they do for Christmas too. The last thing I picked up was my Pink Halloween Bat Wreath I had hunted so many stores to find a Halloween wreath as my friend got an amazing one from Aldi, so when I spotted this beautiful wreath I had to get it. I've not yet managed to put it on the door yet but it will be up very soon! I popped to ASDA around 3 weeks ago to find that there Halloween aisle was very bare and last year I remembered there being so many things! However, I went back to ASDA last week to find that they had filled the rest of the aisle just like last year to find tonnes of Halloween things. HOORAY! I didn't pick up much but grabbed some new Pumpkin Fairy lights I really loved these for only £3, they kind of pop out like little 3D pumpkins. You can find these lights in my photo's above. As I'm sure you know I came back from Florida one whole month ago now😓 I can't believe how fast this time has gone by, it feels like only two minutes ago. Anyway, whilst in Florida I'm sure you already know I picked up quite a lot of things from Bath & Body Works but what I forgot to include was this little cutie. Pumpkin Apple Candle I totally forgot to add this in my haul because it's so tiny but it managed to make it into this haul so all is fine! So that's about it so far I say so far because who knows what I might see but yes that is it for my Halloween home haul. Let me know what you love the most from my picks?